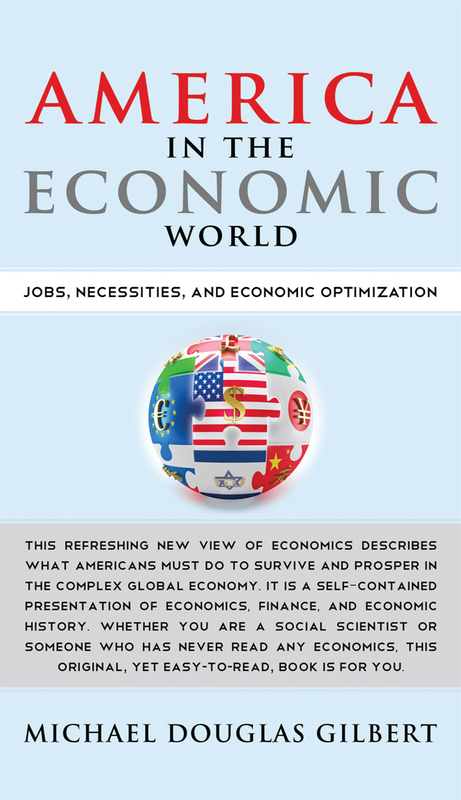 For additional information about this book, visit the website americaintheeconomicworld.com. America in the Economic World provides exactly what all readers need to know to form their own opinions about important policy issues. They need no longer be dependent on ideologues and political operatives for important information. Topics are chosen for their relevance to issues that are in the news every day. Now everyone can easily obtain the economic knowledge and historical context necessary to be an informed citizen. Economics is uniquely presented as the study of necessities and jobs in the modern world, both for individuals and for nations. America in the Economic World describes what Americans and the United States must do to compete in a global economy. The reader will learn the significance of jobs, deferred necessities, lifetime consumption, Medicare, social security, entitlements, welfare, the business cycle, abnormal economic downturns, stagflation, efficiency, regulation, taxation, economic stimulus, derivatives, the Federal Reserve System, and much more. The book warns of the impact of ideology on public policy decisions. It presents controversial topics including distribution vs. redistribution, and it includes original analysis of many important concepts including Medicare, lifetime consumption, and utility theory. Everyone will appreciate the brief study of American economic history that provides context to current events and public policy issues. America in the Economic World discusses Say's Law, the Great Depression, the post-World War II economic boom, the OPEC oil embargos, the causes of the Great Recession, health care reform, and the important economic policies of every presidential administration since Jimmie Carter. A surprising chapter on American military history since 1941 provides insight into the impact of ideology on major policy decisions. If a nation's leaders can send their people to fight and die for nebulous reasons, then it is easy for them to advocate self-serving yet foolish economic policies. Professional economists and other social scientists will appreciate this unique introduction to economics. Teachers and students alike will enjoy its easy and intuitive presentation of traditional economic and financial topics. America in the Economic World is designed to inform a wide audience, including people who might not normally read economics or history books. It is self-contained and easy to read, with no graphs, charts, or tables of numbers. There is no mathematics beyond the simplest arithmetic. Now there is no longer any excuse for Americans to be told what to think or how to vote. Michael Gilbert’s primary interests in economics are in the related areas of human survival in a modern complex economy, and in the proper relationship of government to private sector activity. He has graduate degrees in mathematics and business administration. Michael has been a geophysicist since 1974 and worked on successful exploration projects in North and South America for decades. He has taught mathematics at the college and community college level, trained geophysicists, and taught Federal income tax preparation. Michael is an emeritus member of both the American Mathematical Society and the Mathematical Association of America. He is a member of Beta Gamma Sigma, the national business honor society.